Players worry the justice system treats them like criminals. So when an owner refers to them as "inmates," that is a problem. If you want a glimpse into why NFL owners have not embraced their players’ rights to protest during the national anthem (or, frankly, at any time), this quote from Texans owner Bob McNair, reportedly delivered at a meeting of owners earlier this month, says it all. That statement stunned some in the room. Then Kraft, who is close friends with Trump, politely rebuked the hardliners, saying that he supported the league’s marketing proposal and predicted the issue would work itself out over time. This argument seemed to find a receptive audience in the room. NFL players’ protests, as most people hopefully understand by now, are about racism in the criminal justice system, from police brutalities to disparities in arrests, bail and sentencing. In essence, players are accusing America of viewing people who look like them as criminals. For McNair to then compare them to inmates in a prison, even as a rhetorical device, is wildly inappropriate and revealing. Given that frame of reference, his indifference to racial injustice is no surprise. McNair, like many white people who have benefited all their life from black labor, views his disproportionately black employees as an underclass. The worst of professional sports owners (remember Donald Sterling?) view the players they employ as if they’re trophies, status symbols, racehorses, empty-headed mannequins who provide entertainment and prestige. The faster they run and harder they hit on a field far below, the more these billionaire owners get to feel special around their billionaire friends. When players open their mouths, it ruins the illusion and reminds owners that the men who hit each other for their profit are actually human beings, with life experiences, trauma and opinions. It shatters owners’ view of the players as a servile working class. Rarely has this dynamic been more clear than in McNair’s characterization of players as inmates. The ESPN piece on the owners’ response to player protests describe two sides among the ownership camp: a sympathetic group led by Patriots honcho Robert Kraft and a hardline contingent that included Cowboys boss Jerry Jones and McNair, who donated millions of dollars to Donald Trump’s presidential campaign. If the hardliners hoped tot paint their opposition to the players as anything more than a refusal to see that discrimination as real and worth combatting, McNair’s quote gave them away. His message was clear: Why should I care that players worry about being unjustly harassed, killed or locked up, when I think of them like inmates anyway? 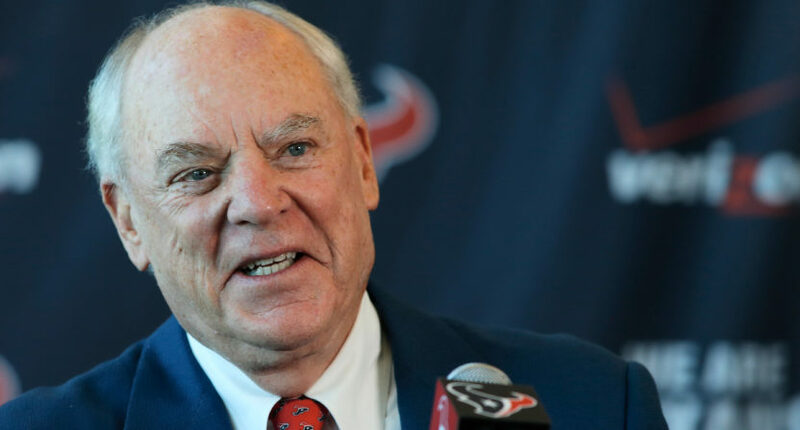 UPDATE: McNair has publicly apologized for his phrasing, apparently oblivious to the fact that his sentiment was far more damaging than his specific words.